Direct Doors Services provides full repair and replacement of all brands of domestic doors and commercial and industrial doors covered by your insurance. 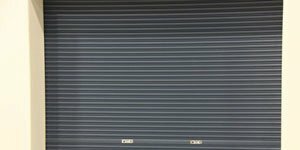 Damage and Break-ins – We carry out full repair and replacement of roller doors and shutters damaged by storm, hard impact or break-ins. We can also replace slats and guides on all brands of domestic, commercial and industrial roller shutters. Motor Replacement due to Fusion – Available for all types of domestic doors and commercial and industrial doors. We cater to all brands of roller doors and roller shutters. We will send out one of our highly qualified electricians fully trained in motor systems to carry out all works needed. Insurance Quotes – Getting insurance works can be a tedious, stressful process. We can gather and organise all the quotes you will need for the insurance works, taking all the hassle out of the procedures. Contact us for all insurance works for your roller doors and shutters. We’ll be happy to send one of our fully trained technicians to come out and secure the door. Temporary operation will be done if possible. Quickly after, we’ll send all the quotes to your insurance company for the speedy repair and replacement of any insurance-covered works.